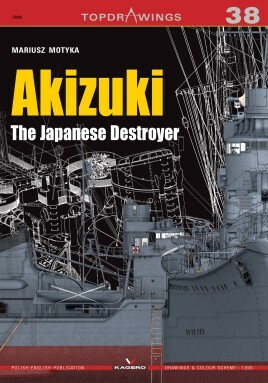 Akizuki was the lead ship of her class of destroyers in the Japanese Imperial Navy considered by many to be among the best Japanese warships of that type in service during World War II. Those long-range vessels were fast, heavily armed and featured surprisingly good electronics (at least by Japanese standards of the time). Add to that the exceptionally graceful lines and the result is one of the most capable large destroyers in service with the IJN.